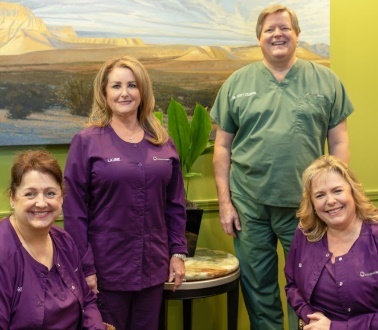 Your comfort is a top priority for Coleman Dental. Our offices were recently renovated to spoil our clients with luxurious amenities. We want you to feel both at ease and appreciated. From the minute you walk into our plush reception area, our friendly staff is there to welcome you with a refreshment. And once you’re in the dentist chair, we offer the comfort of warm blankets, hot hand towels, and music or TV entertainment to make you feel relaxed during treatments. Plus, if your procedure requires anesthesia, we’ll even provide you with car service to drive you home when we’re all done.